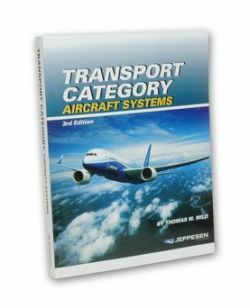 Perfect for A&P students and certified technicians, the Transport Category Aircraft Systems text uses a system-by-system approach to helping you understand jet transports. This is the only text available that covers FAR part 121 aircraft. It's a necessity for A&P students and licensed technicians wanting to work on large aircraft. Softcover, Third Edition, 396 pages.